Black smoke and Chi Gu smoke, black smoke of diesel exhaust is the major cause of fuel rich mixture, combustible gas mixture formed bad or combustion is not perfect wait for a reason to cause. Diesel engine at high temperature, high pressure combustion conditions, local hypoxia, cracking and dehydrogenation and the formation of carbon as the main component of the solid particles of fuel in the combustion chamber, is incomplete combustion performance. 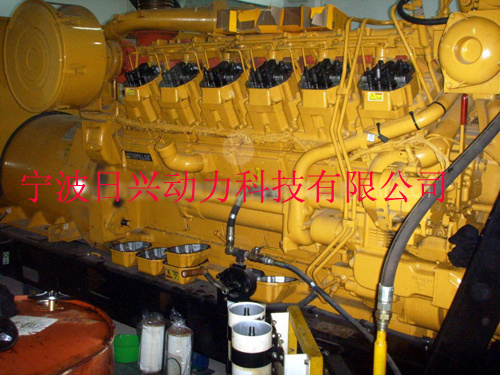 Because the diesel engine is non homogeneous combustion, combustion chamber in various regions of the chemical reaction conditions are not consistent, and changes over time, so the black smoke is likely to be composed of many different approaches to natural. Diesel is a complex hydrocarbons, spray into the combustion chamber without burning diesel by high temperature decomposition, formation of carbon black, the exhaust gas discharged together with formation of black smoke. Black smoke is incomplete combustion products, is a hydrocarbon combustion in a high temperature anaerobic condition cracking process and polymerization of the release. In some cases the fuel injection on the combustion chamber wall surface, to form a liquid film, the oil film is finally the evaporation part, it depends on the speed of evaporation and combustion of fuel vapor and oxygen mixing speed. If the ambient gas oxygen concentration is too low, or a mixture of fast enough, from the oil film evaporation of the fuel gas will be decomposed, and bring unburned hydrocarbon, incomplete oxidation products and black smoke. 1, piston rings, cylinder sleeve valve, piston ring wear, cylinder wear, causing compression pressure and oil channeling combustion test negative winter cylinder at the end of the compression stroke, mixture proportion change, so that the fuel in the anaerobic condition combustion, combustion process easy to produce coke, exhaust gas formation large black smoke. In 2, the combustion chamber shape combustion chamber shape for manufacturing quality and long-term use of LED technology status decline, the compression I sewed is too large, too small and the position of the piston installed the wrong, will make the combustion chamber shape and volume change, thus affecting the fuel mixed with air quality, so that the fuel combustion conditions addle. 4, the large amount of fuel oil supply amount is too large, so that the inlet cylinder oil increases, resulting in less fuel oil gas incomplete combustion. In addition, work overload, poor quality, low working temperature of the fuel will cause the black smoke exhaust, diesel engine fuel pyrolysis reaction is unavoidable, especially in the mixed combustion in diesel engines, due to the high temperature gas surrounded by a liquid droplet, a conducive to the cleavage reaction conditions, therefore, in the initial stage of combustion to generate a large number of carbon particle, this point has been confirmed by the combustion process of high speed photography. 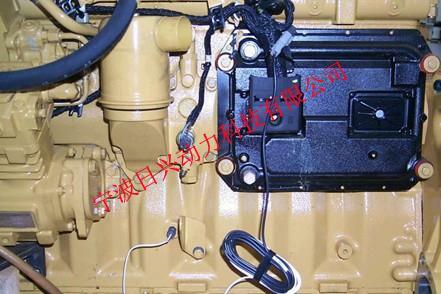 Diesel engine under normal combustion, in the exhaust valve opens before combustion, the early formed a large number of carbon particles can burn, basically is smokeless exhaust. Only in some unfavorable conditions, carbon cannot seasonable combustion instead reunion adsorption www.zfdjz.com, on the cylinder and the exhaust process to form larger carbon smoke particle or floc, the black smoke exhaust. (1) the fuel supply advance angle is too large, the fuel injected into the combustion chamber of premature, as the cylinder pressure at a lower temperature, fuel combustion, when the piston, cylinder reaches a certain pressure and temperature, combustible gas mixture combustion. In a direct injection diesel engine, when the other parameters are constant, increase the injection advance angle can reduce exhaust smoke. Due to increased fuel injection advance angle makes the ignition delay period is lengthened, so that the sprayed into the cylinder before ignition oil quantity increase, premixing volume increase, premixed gas increase, accelerate the combustion rate, combustion can be ended earlier, so that the main combustion period for the formation of carbon particle with higher temperature and stay more time, in favor of soot oxidation disappear. 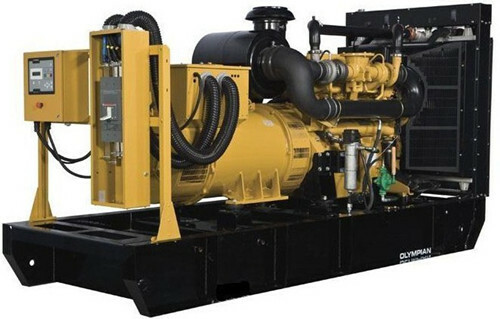 However early injection increased premixed fuel quantity, make the crude operation of diesel engine, combustion noise increasing, and due to the mechanical load, as well as more black smoke emission ( COX ). (2) the fuel supply advance angle is too small, sprayed into the cylinder fuel too late, a portion of the fuel will not form a combustible mixture can be separated or discharge, resulting in the exhaust pipe with the exhaust from the fuel material by high temperature decomposition, combustion, producing black smoke with gas discharges. In 1, the air filter inlet obstruction, or poor tank oil level is too high ( oil bath air filter ), which entered the cylinder volume reduction, fuel mixture proportion change, resulting in less oil gas fuel combustion is not complete, it will cause the exhaust emit blue smoke. In 2, the oil sump lubricating oil adding too much, operation of diesel engine lubricating oil in easily penetrates into the combustion chamber. In 3, long-term low load ( rated below 40% ) operation, clearance between the piston and the cylinder is too large, so that the oil bottom shell lubricants easily running into the combustion in the cylinder and fuel mixture, change the mixture proportion, incomplete combustion, cause the exhaust emit blue smoke. In 4, the piston ring stuck or wear too much, lack of flexibility, installation of piston ring chamfering direction reversed, so that the oil into the combustion in the oil smoke exhaust gas generated after burning blue. In5, the body to the cylinder head oil passage around the cylinder pad burnt, piston, cylinder wear and piston ring and other conditions will cause the lubricating oil flow combustion in and mixed with fuel gas combustion together. In 6, when an engine is started, the individual cylinder does not burn ( especially in the winter ), unburned fuel mixture with other working cylinder exhaust gas out of formation water smoke. In 5, the piston, cylinder liner, wear caused by compressive force is insufficient, resulting in incomplete combustion. In 4, the fuel in the water and the air. Water and air with fuel injection in the cylinder form a uniform mixture of fuel oil, complete combustion, resulting in a large number of unburned hydrocarbon discharge machi, , , ne. In 3, fuel supply advance angle is too small. Piston to cylinder top front spraying into the cylinder fuel too little, forming a dilute mixture, later injection reduces the premixed fuel quantity, premixing volume reduction. Premixed gas reduction, reduced the rate of combustion, the combustion end later, the formation of a large number of water vapor smoke combustion. His pale gray smoke exhaust, diesel engine work is normal, but the smok, e increase was the color gray or close to black is not normal, in addition to the above smoke black reasons, may also have poor air supply inlet is not good reason. When the intake air filter, exhaust smoke from deep shallow even becomes colorless, is the air filter is clogged, should be checked by the intake not the reason of free. 2, atomization of fuel injector is poor, injection pressure is too low, a drop of oil , , phenomenon. In the cylinder fuel mixture is not uniform, incomplete combustion, produce large amounts of unburned hydrocarbons, exhaust easily form water fog or water vapor. 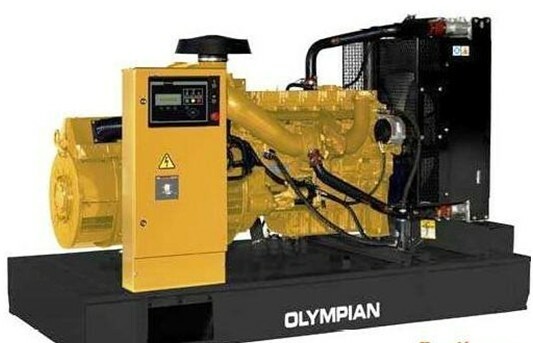 The company of the whole generator repair, execute program card system, and the whole process is divided into the following11 procedures. 1: generator removing before the examination project. The 2: diesel engine disassembly project. 3: diesel engine parts cleaning. 4: diesel engine parts inspection and measurement. 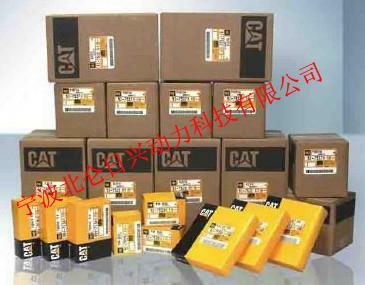 5: diesel engine replacement parts catalog. 6: assemblage of parts of a diesel engine. 7: diesel engine assembly line test before the examination project. 8: diesel engine test procedures of various examination items. 9: diesel engine repair project. 10: diesel engine running-in period various examination items. 11: diesel engine running-in normal work after delivery. In the repair process, we request the customer to cooperate with the following work. 1: customer sent a supervisor on the project supervision and management. 2: each process shall be required by the director of engineering and to charge customers signed for confirmation. 3: Supervision of the supervisor in the whole project construction, that does not press a program card operation, must immediately be stopped, and repair group representations. 4: if the opinion divergence, and the company please contact the clerk, until it reaches the agreement before construction. A. body and a crank and connecting rod mechanism:1 cylinder body damage / cylinder common injury: burn tile, main bearing hole deformation, crack, breakage, the mouth of the water channel matching surface corrosion and abrasion. On visual inspection, should be no crack and damage, if found to have lead to water leakage, oil leakage, leakage, damage, it must be repaired or replaced. Especially for the cylinder body and the cylinder sleeve contacts the sealing ring has no pitting, corrosion phenomenon to be special inspection. 2main bearing hole of burning tile / phenomenon of the cylinder, particularly on the main bearing hole of aperture to be measured, non-standard main bearing hole must be corrected. The 3cam shaft hole and the camshaft bushing surface exposed copper is greater than 120 degrees, must be replaced if the camshaft bushing, camshaft bushing wear is excessive, also must be replaced, otherwise it would cause the engine oil pressure is too low, such as in the base hole bushing rotate, it must be checked seat hole size, exceed the standard, repair seat hole and renewed bush. 4cylinder block bore / check cylinder Xiamen seat hole non roundness, should not be greater than 0. 025mm, cylinder sleeve hole shoulder have no crack, cylinder liner projection in 0. 15-0. Between 20mm, new cylinder is sheathed in the cylinder should not swing phenomenon. Piston damage phenomena are: 1: piston top surface ablation. The 2: piston ring groove side wall wear and ring fracture. 3: piston pin hole aperture greatens, out of round. The 4: pin base crack. 5: piston initial strain. 6: early wear and horse ellipse piston. The 7: piston ring groove medial ridge peak exists. 8: piston wear too large. Connecting rod assembly of major injury are: 1: head liner wear. 2: small end bushing seat hole and the big end bearing saddle bore wear and deformation. 3: rod bending distortion. Connecting rod bolt or screw4: crack, variable length, thread wear or slipping buckles. 5: connecting rod body scratch phenomenon. 6: connecting rod has a tile deformation phenomenon. In the installation of connecting rod assembly, must press the correct torque parameters and the correct procedure, and must be inspected for screw screw. Warning: installing a linkage assembly, shall be determined by the project manager to operate personally. For the damage of connecting rod assembly, must be scrapped, otherwise it will cause the connecting rod fracture, break the cylinder block, crankshaft and the risk of break. Crankshaft, flywheel assembly: D. from the axis of the main shaft neck injury: abrasion, crack and fracture, burning tile resulting ablation. If the crankshaft out of roundness is greater than 0.05mm, will be grinding crankshaft. For tile serious crankshaft, due to its metallographic structure has changed, is generally not recommended to use again, crack phenomenon of the crankshaft must be scrapped, or there will be the possible fracture. Warning: installing crankshaft, flywheel assembly, shall be determined by the project director in person operation, according to the criteria of the torque and the correct steps, main bearing cover screws must recheck.